Investment success doesn't come from following the right predictions. It comes from following the right principles. The Oxford Club (the publisher of Investment U) follows an approach that's built on the value discipline of Benjamin Graham, the growth strategies of William O'Neill, the global perspective of John Templeton and the contrarian wisdom of Peter Lynch. 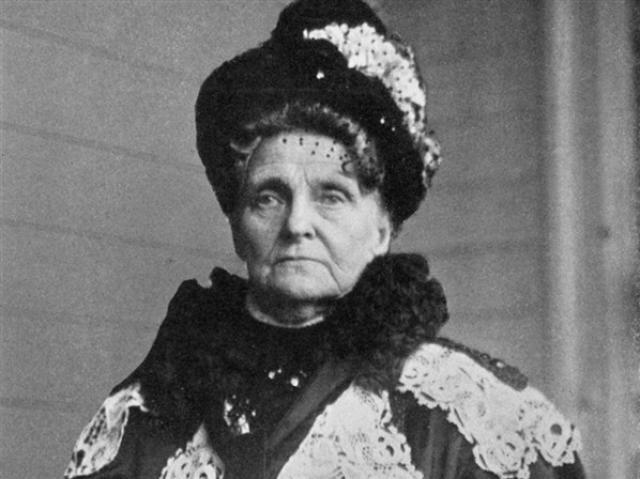 But we even learned a bit from Hetty Green, "The Witch of Wall Street," as well. Her father, Edward "Black Hawk" Robinson, built a shipping empire with hard work, but by also forfeiting luxuries and scrimping on necessities. Hetty inherited his frugal ways, fierce temper and foul language, along with about $5 million. With that generous start, she compounded her money nearly 40-fold. And she did it in two highly unusual ways. First, she was a legendary skinflint. She refused to turn on the heat, even in cold weather. Or use hot water. (Too expensive!) She lived on graham crackers, unwrapped ham sandwiches (which she pulled from the filthy folds of her pockets) and pies that cost 15 cents. She haggled with local merchants over every penny. And she instructed the laundress to wash only the hem of her one shabby black dress to save money on soap. When her 14-year-old son Ned injured his knee in a sledding accident, she refused to pay for decent medical care, applying a useless treatment of hot sand and tobacco leaf poultices. Eventually, he had to have his leg amputated (at a cost of $5,000, I might add). Thanks to her miserly ways, Hetty never enjoyed her fortune. And when she died in 1916, she tried to control it from beyond the grave. She constructed a restrictive will and prenuptial agreements to prevent in-laws from inheriting any money. However, since her son and daughter had no children, her fortune was eventually passed on to more than 100 beneficiaries. None of them ever knew her personally. It's tempting to believe this stingy curmudgeon offers nothing but a negative example. Yet this is not entirely true. Hetty understood that expensive fees and brokerage commissions eat up too many fortunes. So she kept a sharp eye on costs, increasing her compounded returns. She also bought low, investing in stocks only during financial panics. Ever the miser, she bought during every bear market, correction or crash. "There is no secret in fortune making... All you have to do is buy cheap and sell dear, act with thrift and shrewdness and be persistent. When I see a good thing going cheap because nobody wants it, I buy a lot of it and tuck it away." There's a bit of investment wisdom here. But an important life lesson as well. Hetty was an obsessive who never really loved anything but money. That doesn't make for a very satisfying or well-lived life. No matter how much you have, money never loves you back. Feature image found at http://www.returntoorder.org/2012/11/the-different-roads-of-the-authentic-and-inauthentic-elites/. If Hetty were alive today, what sort of stock might she go for? Well... let's review what we know about her. She loved a bargain. She admired thrift. And she often struck while others panicked, grabbing whatever "good thing" was "going cheap because nobody want[ed] it." Can there be any doubt that the Witch of Wall Street would have plenty of Target Corp. (NYSE: TGT) shares in her portfolio? Consider the evidence: Target is a highly regarded and growing discount retailer - a prime competitor to Wal-Mart (NYSE: WMT) offering a more upscale product line. Last year Target added some 120 new stores last year to its existing 2,000-plus North American outlets. But just before Christmas last year, there was a problem. "Target experienced unauthorized access to payment card data at its U.S. stores," Alex told us. "Customers' card information was stolen through the retailer's point-of-sale terminals, even though as recently as September , the retailer's systems had been certified as compliant with the Payment Card Industry Data Security Standards, which governs what measures retailers must take to protect and encrypt card data." Shares plunged on the news, shedding 18% through February 5. It was the perfect scenario for a value investor who's willing to buy while others are selling. Like Hetty... or Alex. He waited until he was confident the bloodletting was over, then pounced, recommending Target to subscribers of his True Value Alert on February 18. Alex's reasoning was simple. The breach alone was the cause of the stock's troubles. And though it was regrettable, it was also a one-time event. "It isn't a game-changer," he said. "Target has done too much right for too long to be permanently damaged by this mistake." Indeed, by February the company had already handled its response to the breach flawlessly, and was moving on. Since then? Shares are up 7%, with plenty of room to run. Somewhere, Hetty is smiling. Well, OK... maybe not smiling.